~~GuRu bHaI~~: Economic Impacts of Global Warming!! An intrinsic calamity called Global warming is increasingly becoming viral across the world through multiple means. This natural global peril has been supposedly expected to end up in a severe glooming to the earth in the offing. No much solid preventive measures are taken against this serious phenomenon anywhere. The prevalence of this geographical climatic variance also menaces the variance in the economic climate of the globe to a greater extent. This clearly depicts the direct relationship between these two contemporary consequences. The awareness of this issue is debile across the borders since people are still skeptic in understanding the grievous factoid behind. They hardly empathize that terrible increase in the average temperature of the earth’s surface from the recent past would end up in extraordinary economic disorder in the near future. Also, no large scale studies have been unleashed to emphasize the importance of this realization among the countries and the common inhabitants. Some scary statistics have been emerging by certain scientists in the recent years from various countries and many global scientific brains are still working in determining the actual consequences hidden behind this deathly earthly happening. Though the economic life of the world is relying upon multiple concerns of the sphere, the substantial neurons for survival are generated by agriculture which is indeed the anchor of economic ramification. The global warming has indirect harms to the agriculture by gradually depreciating the arable lands and thereby overall food productivity rate would end up in belittling throughout in the offing. Due to uneven extreme climatic changes, the food production would be the severe victim throughout. There will be a direct impact on timber and other value added wooden production due to slowdown in the growth of the trees. The sequent consequence is obviously the fall in the global exporting and importing of related market. Scientists also keep stating that further increase in the global temperature would cause the excessive melting of ice blocks in the Polar Regions which would result in the terrible increase of earth’s water level. Consequently, the coastal regions would undergo complete diminution and catastrophe of people over there would likely to happen. Also, marine lives would be descending to a greater extent which would end up in the decline of fishing economy. On the other hand, certain other regions of the world would become completely dry and water scarcity would reach its peak. Again, this would terribly affect the livelihood of the people with severe aftermaths. Similar other effects in almost all possible means to engender abysmal impacts on all businesses and investments across the globe in all fields. These economic impacts would reverberate throughout the world. Economists are getting into serious contemplations on this issue and landing up in foreseeing jeopardizing effects to occur in the offing. 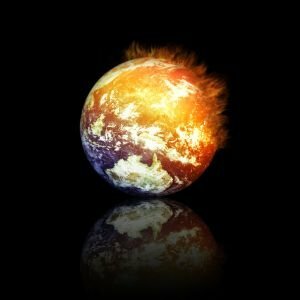 They believe that this drastic change in the global temperature will push the global GDP to fall down. They would indirectly cause harm in the growth of global infrastructures. Energy and retail sectors would happen to fall in vain. There are also possibilities of lack in the potential of human resources across the world owing to their poor health and unexpected catastrophes. Similar related disasters in all means will circuitously affect the global banking and financial flow in heaps of sectors. All these effects would result in huge joblessness globally. In fact, developing countries are more vulnerable to these imminent extreme conditions than their developed counterparts due to serial trickling in their growth rate. Preemptive measures are mandatorily needed to stay safer from the upcoming global disorder. This threatening global situation could even have the possibility to devastate future economy and the entire forthcoming generation as well. So, people should never ever consider it as a partisan issue by imbibing politics in it. With the help of United Nations, all countries should work together in formulating the plans and strategies so as to minimize these impacts of climatic disorders in affecting the economic clouds. Certain efficacious initiatives like SEZ, insanitary restrictive industries in infrastructural arena should be excessively encouraged globally to minimize the cosmic effects. Need of the hour is to reframe the economy holistically by sticking to the principles of the ecology. All humans on earth are now supposedly cornered to agnize the effects of this environmental perturbation over financial conglomerate. If no call is admitted even in this high time, serious economic hitherto would buttress to its superlative shape. Also, it is a potential fuss across the continents which should again be treated like any other deathly dire epidemic disease of earth and collective contribution should be alarmed to forgo the imminent historical economic recession. Go Green in ecology and Get Sanity in Economy!